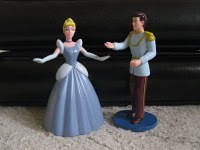 Chicken Noodle: Mom, we’re playing princess castle and Little won’t be the prince and I want her to be the prince. Me: I’m sorry, baby. But she gets to be what she wants. Noodle: If our brother were alive, he’d be the prince. Noodle: And there would be more of us to play when we play Crazy 8’s. Chicken Little to Grandpa (sadly): Our brother died. Little: He was born too late. Grandpa (lovingly): I know, I heard. …and here all along I’d been thinking that I was the one born too late. Am I the only child of the 70s who wished she was born in time to enjoy the freewheeling 60s? I always wanted a big brother, too. This all makes me think about how pining away for the impossible brings with it a powerful element of fantasy. You can project whatever you want onto that blank slate. Kind of like writing a novel. Hmmm….